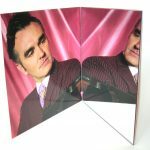 Original gatefold LP (You are the quarry by Morrissey, published by Attack/Sanctuary Records in May 2004) with a silkscreened addition on the front cover and a mirror addition (mounted) on the inner right gatefold. 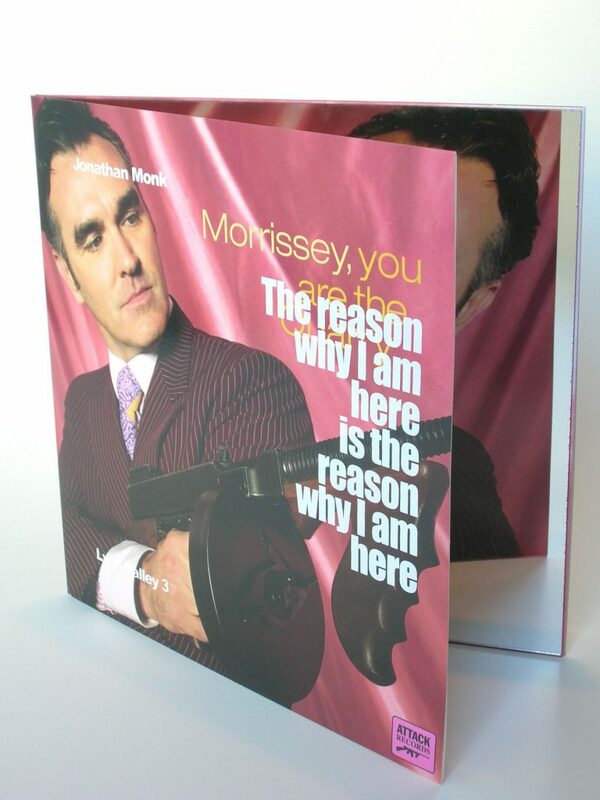 A copy of Monk’s book is also included (inserted inside record sleeve). Jonathan Monk (b. Leicester, England 1969), explores legacies of conceptual art practice in installations, photography, film, sculpture and performance, often marrying his interests in canonical artworks from the 1960s and 70s with wry references to personal autobiography. 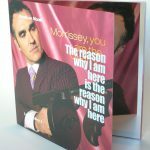 The reason why I am here is the reason why I am here (2007), is a 48-page bookwork featuring crude amateur photographs of pop singer Morrissey performing at a recent concert in Berlin. 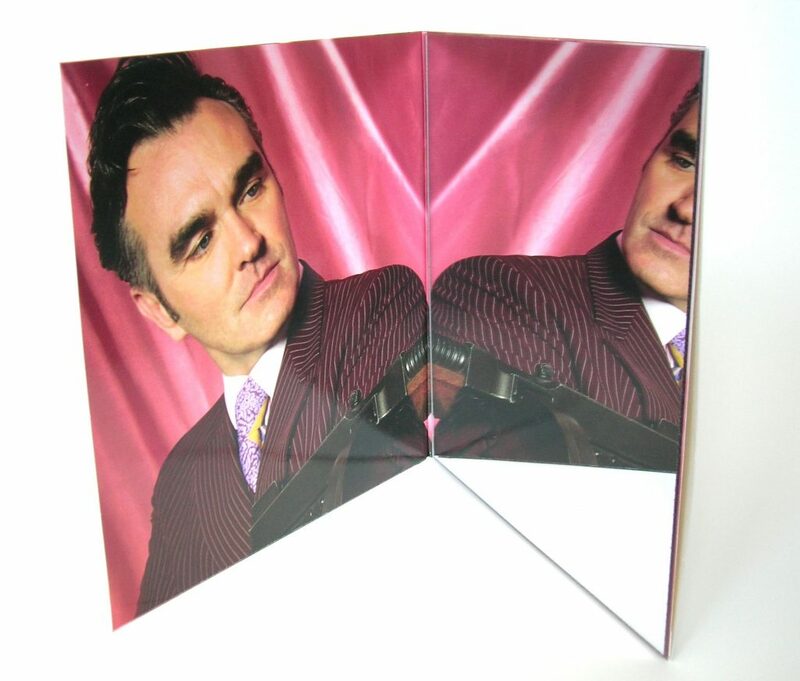 Taken by an audience member, the photographs are mirrored on each verso page of the publication. The result acts as a fan's tribute to legacies drawn from 80s popular music and 60s visual art, while creating a series of photographic "Rorschachs" whose formal inventiveness grows from the simplicity of their source.